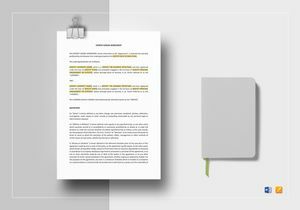 Unique and Fully-customizable Legal Templates Easy-to-print and digitally shareable in word and more formats. Whenever you plan on selling certain goods or use a patented technology owned by a licensor, there should be a written contract involved. Hence, a License Agreement is vital. It is a legal contract between two parties known as the licensor and the licensee. When it comes to writing a license agreement, we at Best Templates want to help users through Easy Downloading of Ready-Made License Contract Templates. Instead of making one manually, you can simply select a template format of your choice. You can then Download, Print, and you’re done! Since our templates are Fully Customizable, it will be easier for you to add pictures, text, and graphics, change colors and replace the placeholder text with your copy. 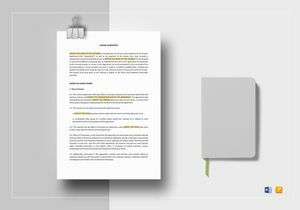 We offer not just license agreement documents but also essential formats. 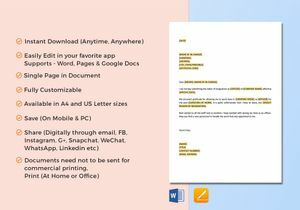 Whether for business or personal use, when it comes to document or design needs, Best Templates got you covered. 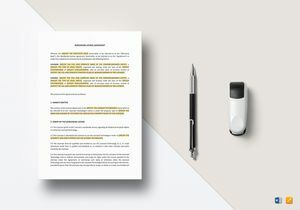 If you’re a licensor who grants a licensee the right to produce and sell goods, apply a brand name or trademark, or perhaps use a patented service owned by you, you need to have a contract in order to legalize the entire process. Thus, you can immediately Download our Professionally-Made license agreement templates. 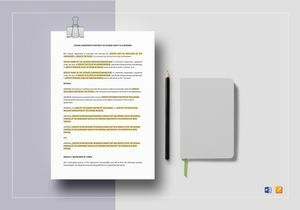 Using these templates allow you to create your license contract without any professional help or having to start from scratch. These are packed with Relevant Contents essential for the contract to be Effective. What’s even better is that you can Personalize them and even change the entire layout if you want. 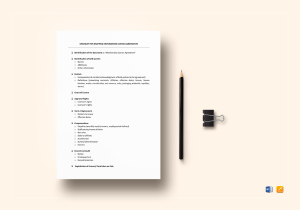 Using our contract template also saves you ample time and effort. No need to waste time looking for other online sources or samples. 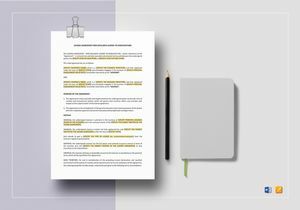 At BestTemplates.com, we have every template you need from Resumes, Proposals, Presentations, Business Cards, Data Sheets, Brochures, Flyers, Posters, or Invitations. 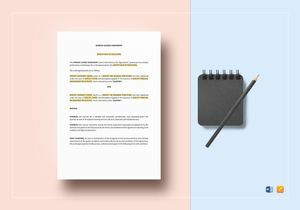 We at BestTemplates help you create contracts in a more hassle-free way. With the help of our skilled Creative Writers, Content Directors, and Graphic Designers from around the globe, every template is Professionally-Drafted and Well-Researched. Our experts make sure there are always new and modern creatives added regularly to our existing template library of thousands of graphics and documents. This is made to ensure you will have the necessary template selections to choose from. Whether they be documents for contracts or template designs for invitations, you name it, we have it. Plus, every template we offer is Amazingly Affordable! This is perfect if you’re on a tight budget and you want something more state-of-the-art. These templates are Handcrafted by our experts keeping you and the purpose in mind. 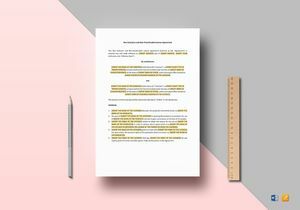 BestTemplates.com offers you a wide variety of agreement templates at an Affordable price. These are not just your usual template samples but are some of the most contemporary templates offered online. Every layout page comes with an Easy-to-Edit format which can be used for commercial print or printing at the comfort of your own home. Each template has 300 dpi resolution for High Standard Premium content and available in CMYK color mode for clearer and even color tone after every printing process. If you wish to share your finished contract, you can Share the file to any social media sites of your choice such as Facebook, Twitter, Instagram, or Linkedin. You can also publish it on blogs and websites. These templates are Editable using different editing software like iPage, Excel, or Word file formats. BestTemplates.com is truly your one stop site for all your template needs.